You are here: HomeR&S Law Group, ACP ⁄ Family Law ⁄ Do Grandparents have Parental Rights in California? Do Grandparents have Parental Rights in California? There’s a variety of situations in which grandparents might want to seek custody of their grandchildren. Sometimes a child’s parents are unable to care for their child and meet his/her basic needs, yet they might refuse to give up custody. Or perhaps a parent passed away, leaving the child with a stepparent rather than a biological parent. Whatever the case may be, it is possible for grandparents to seek custody and even visitation rights in CA. However, a number of caveats exist, and the process isn’t always straightforward or simple. For this post, we’re providing you with an overview of how parental rights for grandparents work in California. For further discussion, remember to contact us directly at R & S Law Group, LLP. One of the first steps that grandparents need to take before the courts will entertain their requests is proving that they have a relationship with their grandchild. You will be expected to present evidence that there is a pre-existing “bond” between you and the child, simply being a blood-related grandparent is not enough. This is primarily due to the fact that, in CA, custody and visitation decisions are based upon the best interests of the child. Once this can be established, the courts can then proceed to weigh your request against the rights of the child’s natural parents, especially in regards to what is best for the child. When both parents are still married, the battle can be uphill. Grandparents who are looking to establish visitation/custody rights might be stone-walled if child’s parents are still married. Generally, filing for visitation or custody rights under these circumstances is not possible. However, there are some exceptions to this rule. When both parents are under separate living arrangements. If you can prove to the family law courts that the child’s parents are not living under the same roof for an extended period of time, you can apply to have visitation/custody rights granted. Another exception to this rule is when both parents are missing. If you are unable to locate the parents for a period of time that extends over a month, you could be eligible for visitation rights and possibly even custody rights, as the courts could determine that the child is missing his/her parental figures. Finally, you can request visitation rights if the primary custody-holder is no longer a biological parent but rather a step-parent. 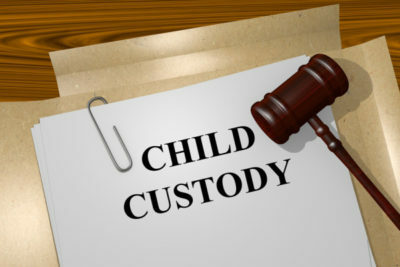 Do note that, if granted visitation rights, these could be taken away in the future upon the request of the current parents or guardian, provided that the courts assess the situation and determine that this is the best course of action to take. To sum, grandparents do have visitation/custody rights in CA, but only under specific circumstances. If you’re a grandparent who is trying to secure these rights, or have any questions relating to this or other family law issues in CA, you should reach out to a skilled family law attorney as soon as possible. At R & S Law Group, LLP, we are a team of knowledgeable legal professionals who have helped thousands of clients navigate their complex child custody/visitation and divorce issues all across CA. We offer free initial consultations, and invite you to call our office directly at (949) 825-5245 to schedule your appointment at your earliest convenience.